Jan. 21, 2019 — During the 2018-19 academic year, Park University and the National Archives at Kansas City have partnered to commemorate the University’s Year of Engagement, a year of conversation and action on its Kansas City area campuses and in the community. The Year of Engagement Documentary Series includes films that reflect Park’s core values (accountability, civility and respect, excellence, global citizenship, inclusivity and integrity) and inspire community engagement. On Monday, Feb. 11, the documentary “The Jazz Ambassadors” will be shown at 6 p.m. in the Jenkin and Barbara David Theater within Alumni Hall on the University’s Parkville Campus. Admission is free, but attendees are requested to RSVP at park.edu/jazzambassadors or call (816) 584-6214. This documentary screening is held in conjunction with Black History Month and is co-sponsored by Kansas City PBS (KCPT-TV) and the American Jazz Museum. 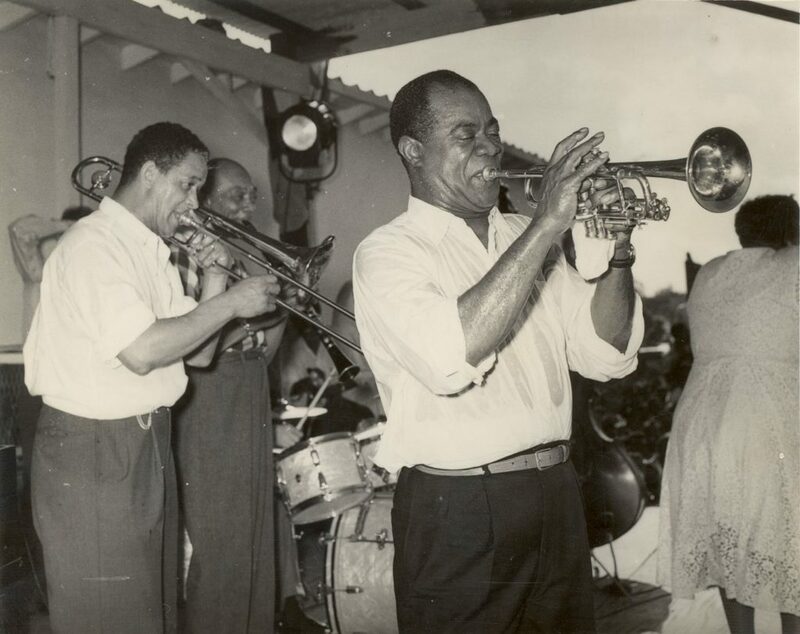 In 1956, America announced a new Cold War weapon to combat the U.S.S.R. — jazz musicians like Louis Armstrong, Duke Ellington, Dizzy Gillespie and Dave Brubeck, along with their racially-integrated bands, would cross the globe to counter negative Soviet propaganda about racial inequality in America. But the unfolding Civil Rights movement back home forced these cultural ambassadors into a moral bind — How could they promote a tolerant image of America abroad when equality remained an unrealized dream? “The Jazz Ambassadors” is the untold story of America’s coolest weapon in the Cold War: how jazz musicians fought back, winning Civil Rights a voice on the world stage when it needed one most. One more film remains to be screened as part of the Year of Engagement Documentary Series. On Monday, May 6, the University will feature “G.I. Jews: Jewish Americans in World War II.” The film tells the profound and unique story of the 550,000 Jewish men and women who served in WWII. The film brings to life their little-known story as active participants in the fight against Hitler, bigotry and intolerance. Like all Americans, they fought against fascism, but they also waged a more personal fight to save their brethren in Europe. Held in conjunction with Jewish American Heritage Month. During the 2018-19 academic year, Park University and the National Archives at Kansas City have partnered to commemorate the University’s Year of Engagement, a year of conversation and action on its Kansas City area campuses and in the community. The Year of Engagement Documentary Series includes films that reflect Park’s core values (accountability, civility and respect, excellence, global citizenship, inclusivity and integrity) and inspire community engagement. On Monday, Feb. 11, the documentary “The Jazz Ambassadors” will be shown at 6 p.m. in the Jenkin and Barbara David Theater within Alumni Hall on the University’s Parkville Campus.